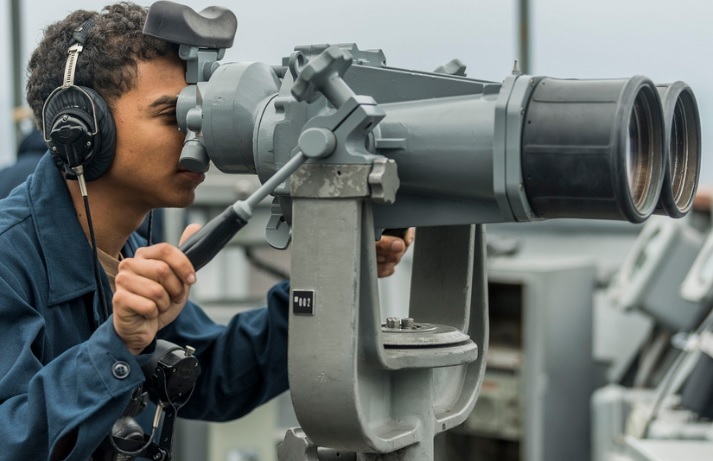 PHILIPPINE SEA (Jan. 16, 2019) Seaman Jason Liberto, from Louisville, KY, uses the “big eyes” binoculars while standing watch on the bridge wing of the amphibious dock landing ship USS Ashland (LSD 48). 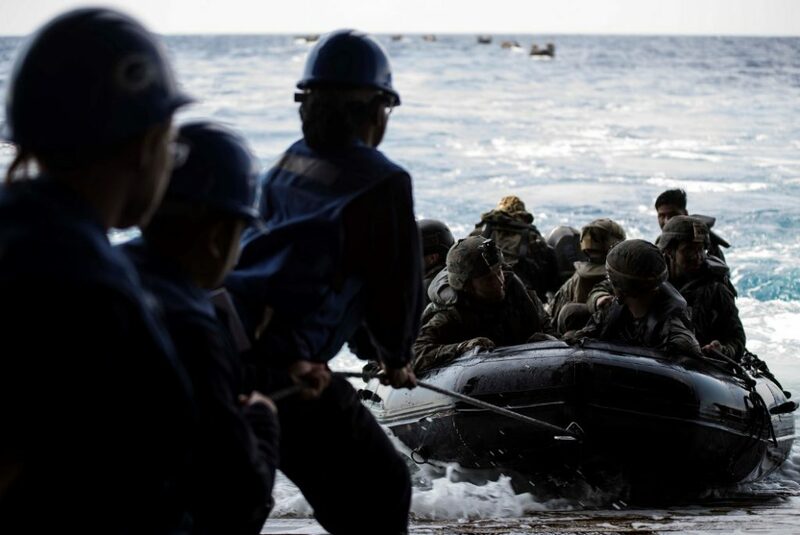 Ashland, part of the Wasp Amphibious Ready Group is operating in the Philippine Sea region to enhance interoperability with partners and serve as a ready-response force for any type of contingency. In November, 2018, the USS Ashland completed a typhoon recovery mission in the Northern Mariana Islands. The amphibious dock landing ship USS Ashland departed the waters near Guam and the Commonwealth of the Northern Mariana Islands after assisting Task Force-West with Department of Defense support to the Federal Emergency Management Agency and local authorities. 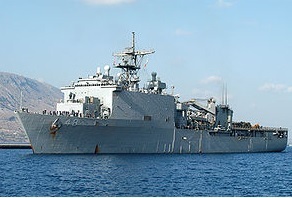 The USS Ashland (LSD 48) can utilize its amphibious dock landing to board and deliver multiple types of vessels, from small rafts to larger vessels.